But as one door closes another opens and this year there has been one particular brand which has got me hook, line and sinker. Enter Kitri Studio! Now I'd like to think I'm a woman of simple needs, I just want easy to wear, versatile pieces which are fresh and exciting without being over thought or contrived. Is that so much to ask for? Apparently not as Kitri manages to tick each one of these requirements without so much as breaking a sweat! This is a brand of staple pieces, with the entire collection being a capsule wardrobe in itself! I actually discovered Kitri when I was on the hunt for the perfect green midi dress, which was a much harder task than initially anticipated. Every dress I'd spotted so far just wasn't quite right! Then one day aimlessly wondering through Selfridges I spied the most perfect green dress. It was a classic button down shape with subtle pleated skirt and a tie waist. It was Kitri Studio and the rest is history. This style of timeless tea dress is quintessential for the brand, with said green dress selling out quicker then you can blink... Obviously I wasn't the only one who deemed this dress oh so perfect and a wardrobe must. Another key characteristic to expect from Kitri include the best collection of printed, graphic tees you'll ever clap eyes on. 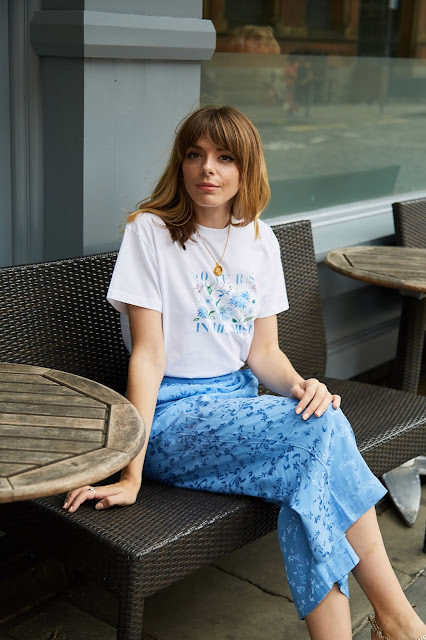 Their summer collection was themed around (Italian) holiday destinations from Tuscany to Amalfi and had the most beautiful illustrations adorning them in rich, dreamy colours. It's a little difficult to find a graphic tee which doesn't look to boyish or a holiday tee without it looking naff. 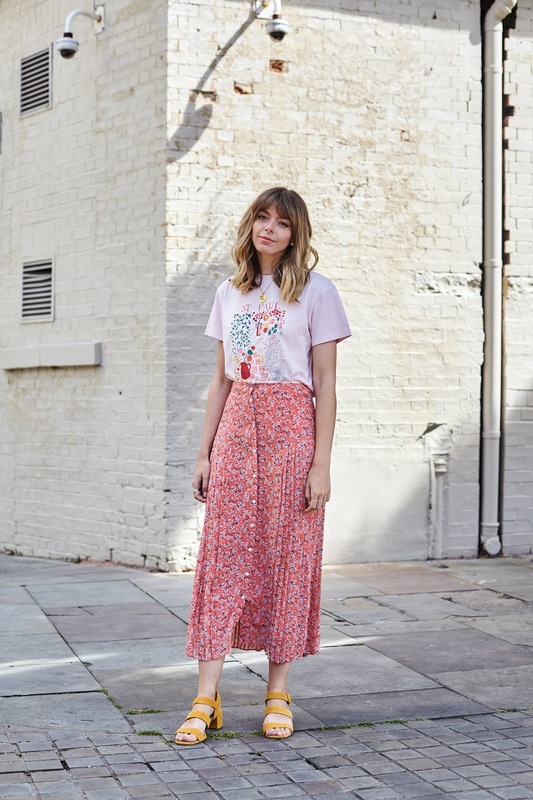 Kitri avoids all these downfalls and manages to create feminine, effortless T-shirts which are a match made in heaven with a floral midi skirt. I love Kitri tees so much I may have bought several over summer. Slightly excessive but necessary. 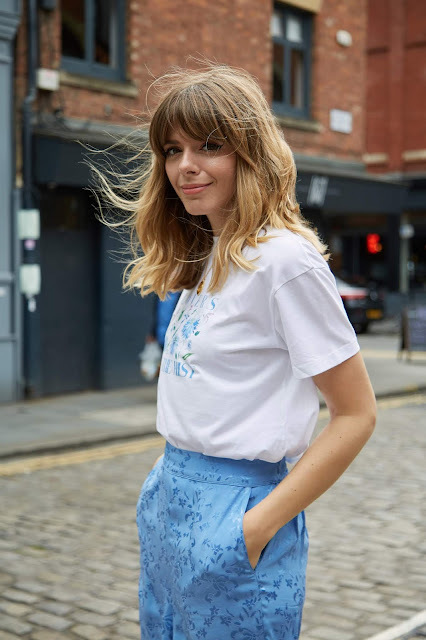 Lastly if you prefer whimsical, delicate or vintage inspired prints than I'd say Kitri is most definitely the brand for you. Whether its a cornflower blue jacquard flower, a powder pink and coral ditsy design or a jade green bold floral print, Kitri nails them all. 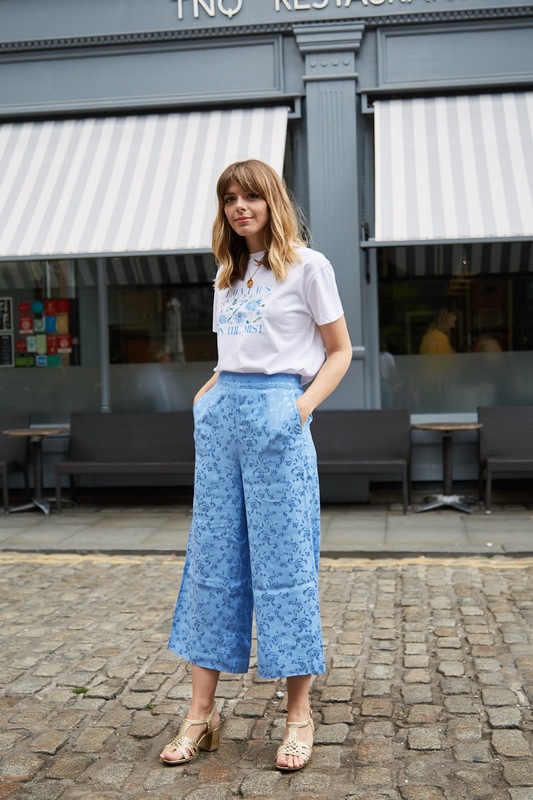 Whatever the print maybe, they have managed to create them in a way which is so versatile and easily incorporated into a million different outfits for virtually every season. My green tea dress featured in this post saw me through the last weeks of summer but I've no intention of putting it away until next year! Simply team with a big, cream chunky knit for a super casual, care free autumnal outfit! 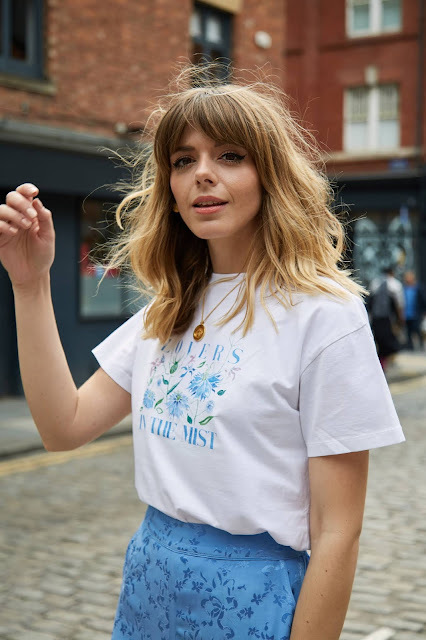 When you're having those lack lustre wardrobe days where nothing looks right, it's always your favourite go to brands that continue to inspire. Discovering them doesn't happen every day but when it does it's a love for life! Discover Kitri for yourself in the carousel below.